Roxanne Roark has lived, breathed and studied social media since 2011, when she started her own social media consulting business. Since that time, she has led clientele from a variety of industries in successful social media campaigns that have included Twitter, Facebook, LinkedIn, Google Plus, Instagram and Pinterest. As the “Siren of Social” for Heroic Search, it’s Roxanne’s job to use her “powers” of social media to entice, entertain and inform customers and leads for clients. She promotes content, creates relationships and grows your audience so that all of the content marketing and PR efforts the team at Heroic Search have mapped out will get a greater reach, and the optimum amount of exposure. She also helps with social-based advertising campaigns, to expand upon all efforts, as a whole. Everything Heroic Search does is connected to get you the best — and trackable — ROI. Have you heard that Google Plus +1s affect your rankings? Or maybe someone told you Google is indexing tweets. What does this stuff mean for you and your business? 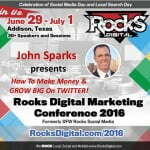 How do Facebook, Twitter or LinkedIn affect your rankings on Google? 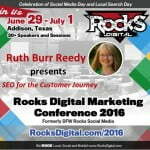 In this session, Roxanne of Heroic Search will discuss how social media impacts the search engine optimization (SEO) of your website… or doesn’t. What social signals are, what they do, and how they affect your website… or do they? 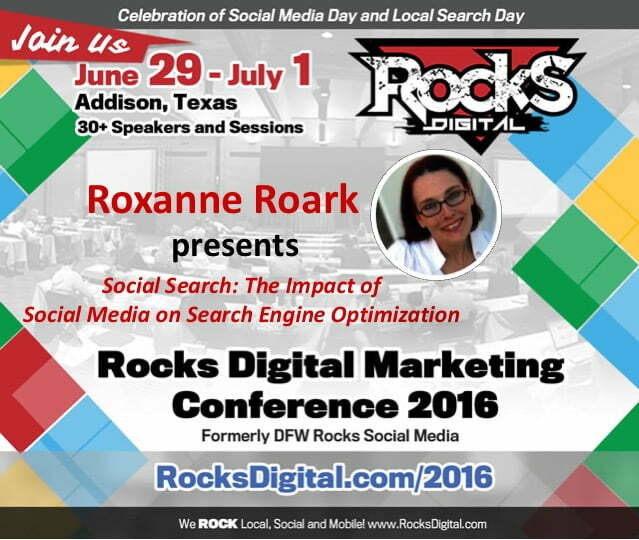 Learn how #SocialMedia impacts #Search from @RoxanneRoark at #RocksDigital 2016!